As a marketer, your job is constantly evolving as new delivery channels, techniques, and resources become available. Keeping up with the latest trends and industry thought leaders, along with actually doing your job, can sometimes be challenging. After all, your daily tasks can include setting up workflows, targeting inbound channels, analyzing blog metrics of existing campaigns, and creating content. This is where LinkedIn can come in handy. Not only is the social network an awesome place for you to brand yourself, but it's also the best online resource for expanding your personal network and educating yourself. LinkedIn Groups are excellent for connecting with others in the marketing world to share ideas, stay informed on the latest marketing news and insights, and connect with the top thought leaders in the industry. Build time into your week to follow and engage with users in LinkedIn Groups. Instead of mindlessly scrolling through your Facebook feed, focus on bettering yourself as a marketer. Linked Groups are either public or private. Public groups are open to anyone who wants to join. The benefit of them is that you can hit the ground running right when you click "join." However, the downside is the group might get overly crowded, and conversations and discussions can get spammy if participants are more interested in selling their products or services and less interested in contributing value to an insightful conversation. This is obviously very frustrating. Private groups, on the other hand, are managed by moderators or owners. You can't join immediately. Instead, you have to submit a request for access. Then, the owner or moderator reviews your request, usually looking at your profile and activity to determine if you fit the criteria to join and to ensure you're not simply joining to spam other participants. While the downside of private groups is the fact that you have to wait to start engaging, the upside is you are likely interacting with professionals who are more committed to valuable, in-depth discussions and less inclined to push products or services. If you approach LinkedIn Groups with the right mindset and the best intentions, you can get a ton of value from them. Here's a look at the best LinkedIn Groups for marketers. LinkedIn Groups offer users literally thousands of communities across all industries. No matter your expertise or what areas of marketing you're interested in, there are plenty of communities you will enjoy. If you're interested in strictly digital marketing practices, these groups are perfect for you. With over one million members, this is one of the largest groups on LinkedIn. It's an extension of the founder's website, Digital Doughnut, which is a massive online community where marketers from all levels share helpful content, including blog articles and in-depth reports. Participants are very active here, sharing ideas and inspiration, sparking insightful discussions, and providing tips and best practices on all things digital marketing. Topics like online advertising, social media marketing, email marketing, and analytics are widely covered. Plus, it's well moderated, thanks to their group rules. You don't want to miss out on this community. Another excellent digital marketing group, this one is home to over 430,000 members. Similar to other digital marketing groups, the content and topics discussed vary widely. From personalized marketing and advertising and event planning to digital media and PR, this community has it all. They enforce two simple rules. First, no spam or promotional content, and second, ensure what you're posting is relevant to digital marketing. These rules guarantee that you're not getting bombarded with irrelevant content or annoying promotions for a tool or service you don't need. By comparison to the others, this group of over 72,000 members seems small, but it's very informative. Their rules and guidelines make the intentions clear. They don't want MLM or network marketing content bothering their members. Plus, they don't allow political or humanitarian discussions and enforce civility in their discussions. Aside from new ideas, important questions, and success (or failure) stories, they also encourage users to share case studies, research reports, and other helpful resources. Want more general marketing insights? Take a look at these groups. This group name is a mouthful, but if you want to learn marketing strategy or are looking for some inspiration for your next marketing campaign, this is the place to be! With over 500,000 members, this community is where you'll hear all sorts of marketing, PR, and sales professionals talk about their successes, innovations, and strategies so you can create your own. Another noteworthy aspect: the group owner is Gerald “Solutionman” Haman, who is the "#1 Most Connected Innovator on Linkedin." He has over one million members in his LinkedIn Groups and 30,000 1st-Level Connections, which shows he is a credible resource. Created by Marketing Tech News, this group has nearly 700,000 members. They come from all kinds of niche areas, so there is plenty of super relevant content for most marketing communication professionals. As a general marketing group, the members cover all the bases — branding, direct marketing, affiliate marketing, CRM, packaging, and beyond. Anything as general as Google Analytics tips to content as specific as local SEO for real estate, you can find plenty of awesome insights here. From the most renowned professional association in marketing, this group is home of some of the best thought leaders in the industry. The group is more intimate, with over 53,000 members, so it's easier to build a relationship with other members. The best part: you don't have to be an AMA member to join! You can join for free and start networking and learning immediately. 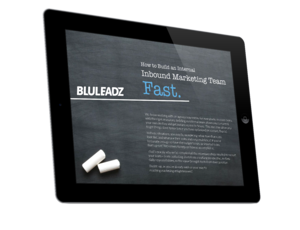 Stay in the know with all things inbound marketing by engaging with members in these groups. This professional group has over 146,000 members. Started by HubSpot's founder and CTO Dharmesh Shah, this is a must-join for any inbound marketer. Members provide excellent tips, tricks, tutorials, and templates for planning and executing successful inbound strategies. This is especially beneficial if you're a HubSpot user because many of the members are avid HubSpotters. HubSpot takes moderating this group very seriously. In fact, they created an in-depth blog article that detailed their rules and guidelines for this group. While this group is not strictly inbound focused, the 313,000+ members address all things marketing, including a good amount of content on the inbound methodology. The group owner is Andrew Kucheriavy, a user experience (UX) expert. As inbound marketers know, UX plays a big role in marketing efforts. The customer-centric approach to all things marketing is the bread and butter of inbound. Stay in the loop on inbound best practices, and if you're a staunch inbound advocate, share your knowledge! Strategy plays a crucial part in the marketing world. Learn from the best of the best in these groups. Are you aligning your content with certain goals or creating content just to stay current? This group of over 31,000 members will help you think strategically about how you approach content creation. This is the best group for content strategists and UX design professionals, but it's not focused on content marketing. The group owner and group managers do a great job of monitoring content regularly, so make sure you're posting content strategy-specific content. Not only can you share your expertise and build your content strategy knowledge, but you can also network and even find career opportunities in content strategy. Members sometimes post job openings so keep your eyes open for your next big career move. This group is excellent for delivering high level content geared toward marketing leadership. Over 51,000 members take part in insightful discussions on topics like social media, mobile, video, PR, digital marketing, and CMO strategy. Their rules, like many other groups, help prevent spamming and facilitate in-depth discussions. Plus, they're part of the larger Industry Dive network, which includes free publications like Marketing Dive and Social Media Dive. Advertising, PR, influencers, and everything in between, these speciality groups cover all the bases so you can dive deep on more specific marketing topics. Social media marketing is a must have skill in every marketers toolkit. This group is ideal if you're looking for new insights on social media marketing. You'll receive weekly announcements in your email inbox loaded with great resources and webinars in addition to the lively discussions among its 1,877,000+ members! But there's a catch. While this group says they're no longer accepting new members, you can still join their private community on their website. This is a specialized professional group with over 76,000 members that focuses primarily on B2B. You'll learn all about the trials and tribulations of the B2B sector and how you can meet the biggest challenges of marketing to these companies. Joel Harrison, editor-in-chief of B2B Marketing, is the group owner, and he and the group managers diligently moderate all discussions. This way, all interactions are productive, so you can learn a lot about important elements like lead generation and customer experience. Need to get help with SEO? You'll learn everything you need to know about the latest and greatest best practices from this group. Even quickly scanning the most popular discussions can help you find the quick fix you need to improve your SEO strategies. The best part about this group is they don't allow links. This guides conversations to be informative and driven by valuable information, not spam links. If you engage here, you won't fall behind on the most important SEM, SEO, and PPC best practices. This is another great specialty group that is perfect if you work in non-profit marketing. With over 93,000 members in its community, this is the most active and biggest non-profit marketing community on LinkedIn. It's the place to meet and network with other non-profit marketers, and it's also a great resource for learning how to successfully market your non-profit organization. Their last group rule sums up the purpose of this group perfectly: "This is brainstorming central, folks." First and foremost, this is where you share new ideas and learn new tactics. That's it. Want to learn from the thought leaders? This group is your best bet. If you're interesting in learning from some of the best minds in the industry and regular speakers at TED conferences, look no further! The group description indicates that this group is solely built for fostering insightful conversations. They strictly prohibit content sharing and spam. In fact, their diligence in moderating is what helped this group earn an award for Best LinkedIn Group for Chief Sales/Marketing Execs. If you're in a leadership role, you can't afford to miss out on this group. 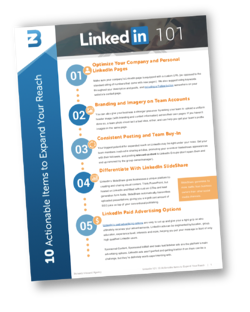 LinkedIn marketing is a valuable asset for any business, and these 15 groups will help you stay on top of your game. You can keep up on strategies, techniques, and best practices, or just network and make new friends in the industry. Engaging with other members can help you build authority, expand your network, and maybe even land that dream gig! At the very least, the content and conversations in these groups make for a great read! Editor’s Note: This post was originally published in August 2017. It was updated in October 2018 for accuracy and comprehensiveness.